General Litigation | Thrasher, Pelish & Heaney, Ltd.
Our services involve many areas of litigation, including insurance defense, insurance coverage, real estate and business matters, and construction disputes. We handle civil appeals in all practice areas and welcome referrals. The jury trials we have covered range from relatively simply one day trials to complex personal injury or medical malpractice cases lasting several weeks. 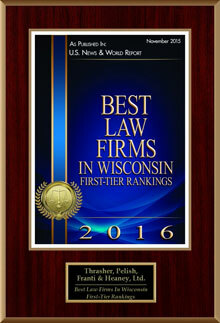 US News and World Report™ has named Thrasher, Pelish & Heaney, Ltd. one of the best law firms In Wisconsin. Our services involve many areas of litigation, including insurance defense, insurance coverage, real estate and business matters, and construction disputes. 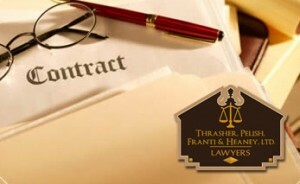 Thrasher, Pelish & Heaney Ltd. is a litigation oriented law firm providing legal services for matters involving personal injury and workers’ compensation. © 2019 Thrasher, Pelish & Heaney, Ltd..